SKATEBOARDING HAS LONG RELIED ON the presence of empty space. When the counterculture kids of California first started occupying kidney bean-shaped, water-less swimming pools found in residential backyards under construction, skaters became known as a community of people who could reimagine abandoned architecture into places of utility. 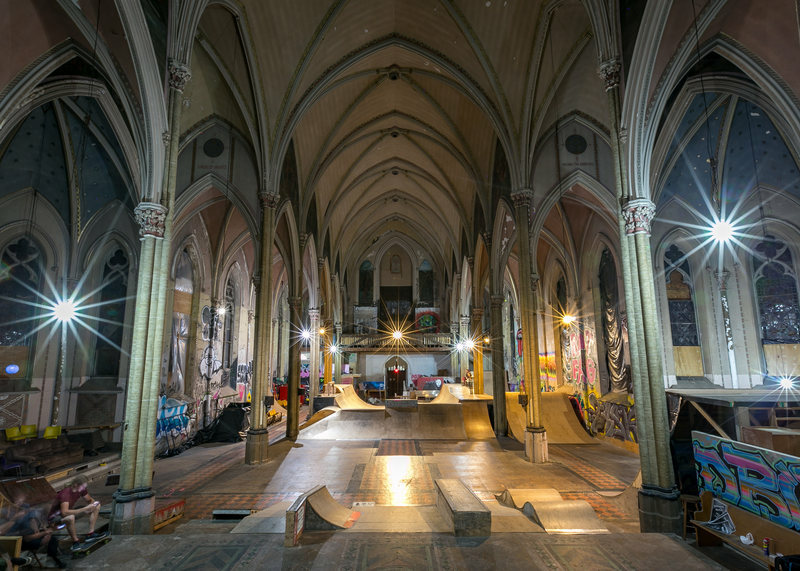 Skaters are known to revamp their worn boards by applying a smattering of skate stickers to their undersides; similarly, skate communities around the world have implemented a similar process to converting old spaces into new parks.